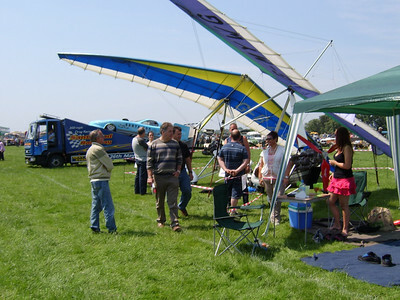 I would like to thank Lesley, Laura, Tina, Lucy & Amy for all their hard work helping to set up the Exodus and Barnet Flying Club display on Sunday 8th June at the Luton Festival of Transport in Stockwood Park, Luton. 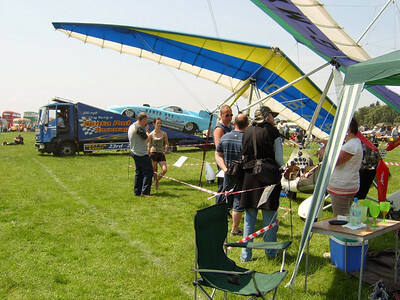 A special thank you goes to Wayne Bowen for all his help loading, unloading, rigging & de-rigging the aircraft and towing one of the trailers. 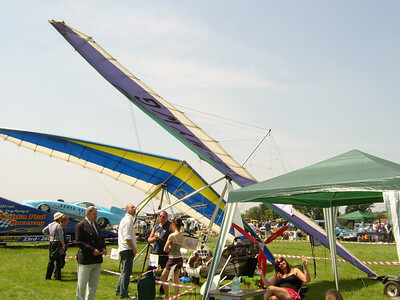 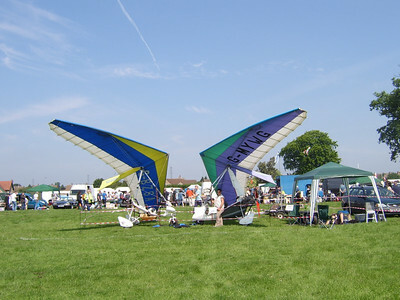 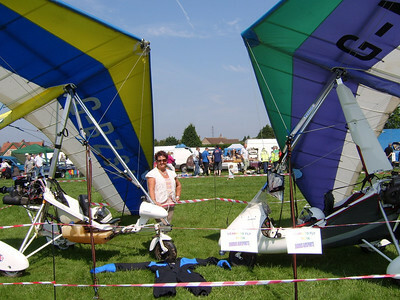 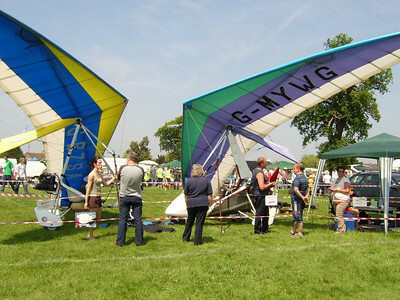 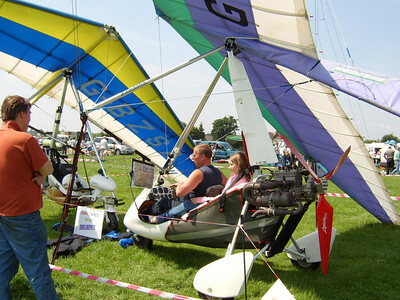 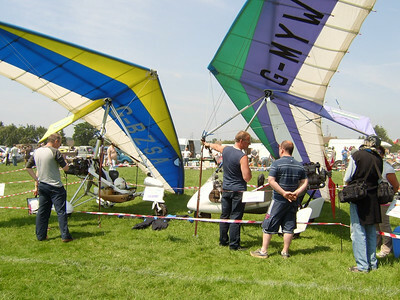 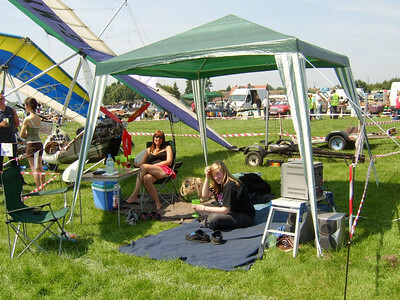 Also thanks to Milan for allowing us to use his Quantum and to the Chiltern Vehicle Preservation Group for allowing us to display the microlights at the show. 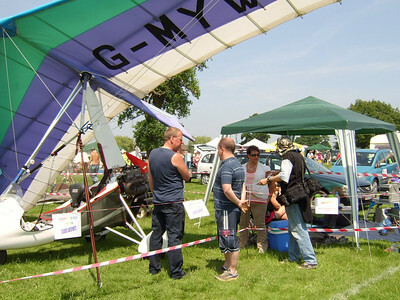 It was a lovely hot day with plenty of interest in the aircraft. 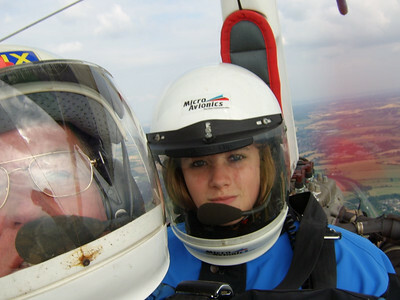 Kirsty the young lady in the rear of the aircraft was enthusiastic and looked right at home. 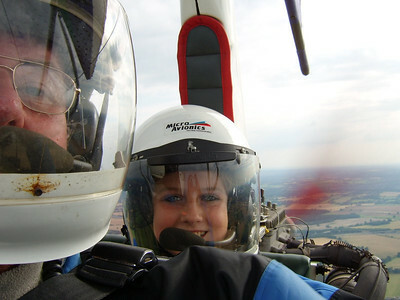 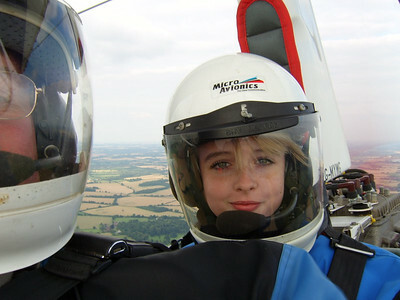 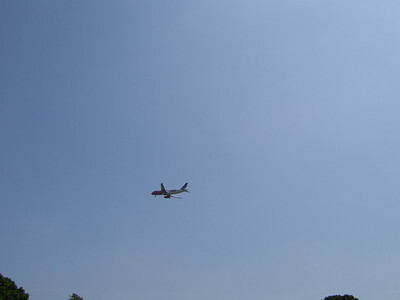 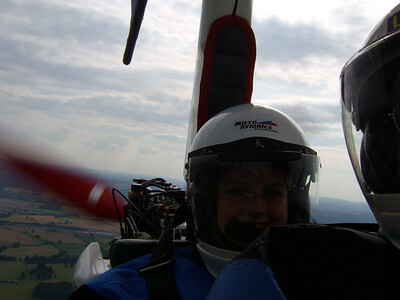 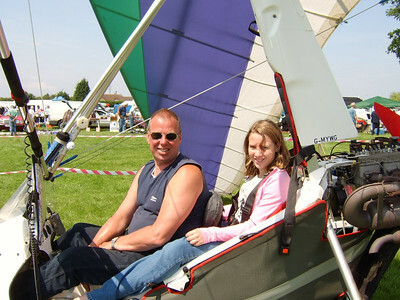 She contacted me through Dad, Grant, and has now been for a flight with me on the 26/07/2008. 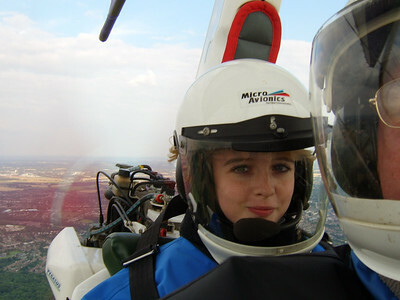 It was a busy day as I also took Kirsty's sister Kim, Kirsty's friend Nikkie and Grant for a flight as my guests. 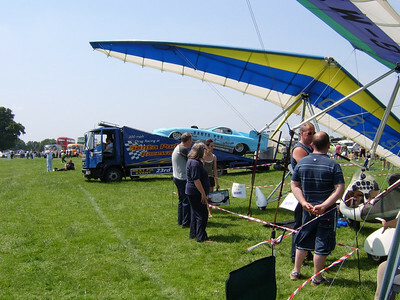 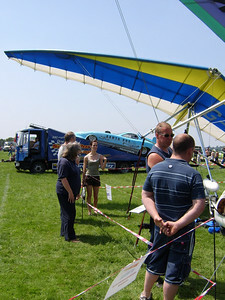 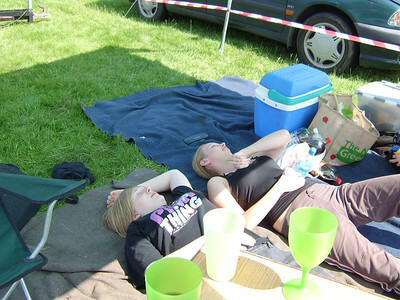 Our next display is on the 10th August 2008 at the The Woburn Rally in the Woburn Deer Park. 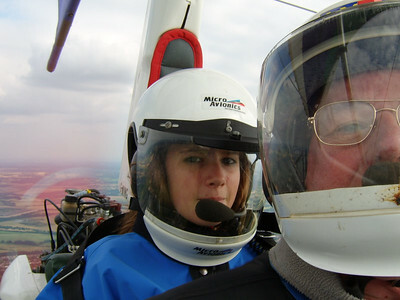 Safe flying everybody, Steve Greene.